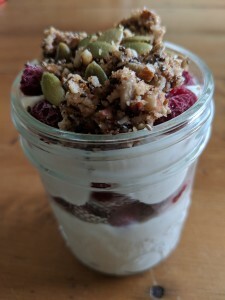 Dairy-free Cashew Cream for Breakfast Parfaits & more! 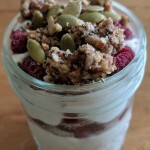 This is a nice option to have around for a weekend brunch, as it enhances a lot of dishes – topped on fruit salad, granola, pancakes, waffles, or made into a breakfast parfait or a fruit dip. It’s very easy to make, and only has 4 ingredients. 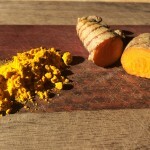 I imagine that you could add flavours like cinnamon, ginger, lemon or orange zest to elevate the flavour of your sweet dish even more. I’m going to try it as a dairy-free substitute in recipes that call for yogurt! I’ll keep you posted on how that goes on our Facebook & Instagram pages. 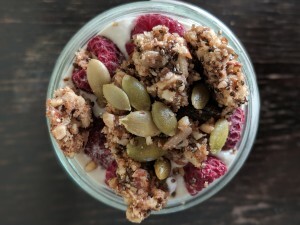 Layer cashew cream with your choice of chopped dried fruits, fresh or frozen fruit, nuts, seeds, or granola. 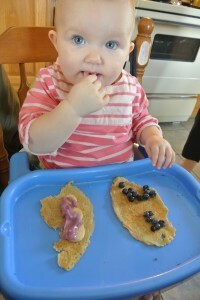 We’ve also spread it on top of pancakes! Add all ingredients to the blender and gradually increase speed to blend on high, adding more almond milk, as needed. Blend on high for a good 30-60 seconds, until it is smooth & creamy. Store in fridge for up to 3 days. 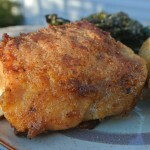 This recipe is takes no effort to prepare – it just takes a little waiting time. There are no preservatives, gums, or binders in this recipe – its just pure coconut milk, probiotics, and fermenting time. We add a little bit of vanilla and maple syrup to make it sweet, but if you decide not to add any sweetener the end product is a pretty awesome dairy-free sour cream! We added only about 1 Tbsp coconut water which gave us an extra thick yogurt (think: thick cream cheese haha) . But it was sooo tasty and melted into coconut goodness when added to warn oatmeal. For this recipe, be sure to use the full fat coconut milk, since we will be working mostly with the fat layer. We like to use Native Forest Organic Coconut milk or Thai Kitchen coconut milk – both are brands that don’t add any sulfites. As well, in this recipe, we use 2 different probiotics, just to get a wide range of ‘good bugs’ – Pure encapsulations Probiotic 50B and NFH Probio SAP are two high quality professional brands that we like. They both came in capsules, so we just cracked them open and used the powder inside. Check with your local health food store or naturopathic doctor to see what professional lines of probiotics they carry since any high quality probiotic will do. This tangy coconut yogurt can double as a sour cream! 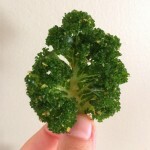 You can enjoy it savoury (on pizza or mixed with pesto), or sweet (mixed with maple syrup and fresh fruit). Leave a can of coconut milk in the fridge for 8 hours or overnight. 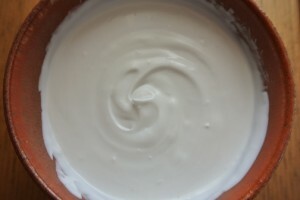 The coconut milk will separate into a thick layer (fat) on top and a thin watery (water) on the bottom. We want the thick layer, so avoid shaking the can before and after cooling. However...you can omit this step if its cool enough in your cupboard that the fat layer will stay separated from the water. (sometimes if you give the can a gentle shake and you feel no movement, you can pretty much be sure that the two layers are separate). Open can, scoop out the thick layer of coconut milk, and place it in a medium sized bowl. Its convenient to use a bowl that has a lid so you can just transfer the yogurt straight to the fridge when you're done. Add 2-4 Tbsp of the coconut water to the coconut fat and mix together well. The less water you add, the thicker the yogurt will be. You can use the rest of the coconut water for a smoothie. 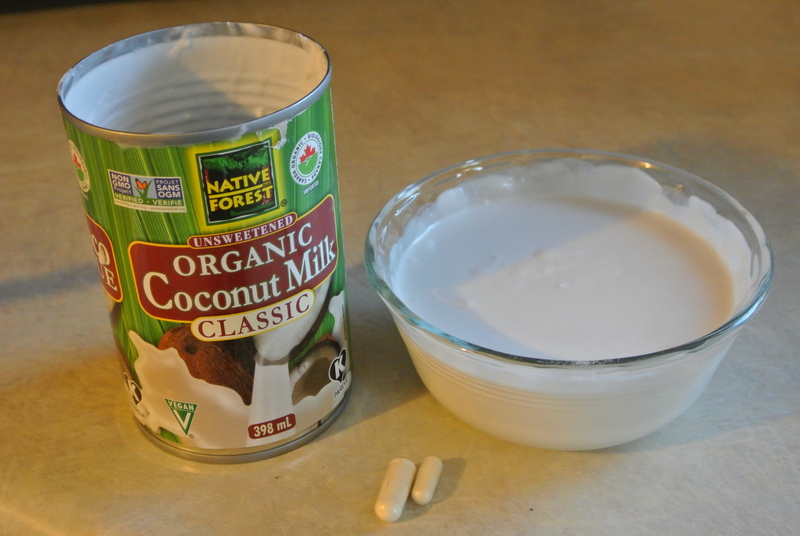 Add probiotic powder to the coconut milk fat and stir it well until it is smooth. Cover bowl with a clean dishtowel and place it on the counter, in the stove or toaster oven (turned off) for 24-48 hours to ferment. At the end of your fermenting time, remove the dishtowel and stir in a small amount (about 1 tsp at a time) of any sweeteners or flavours that you want in your yogurt until you reach the desired taste. Or leave it as is and use it as sour cream. Store in fridge and enjoy with cereal, oatmeal, mixed berries and fruit, in smoothies, or on its own. 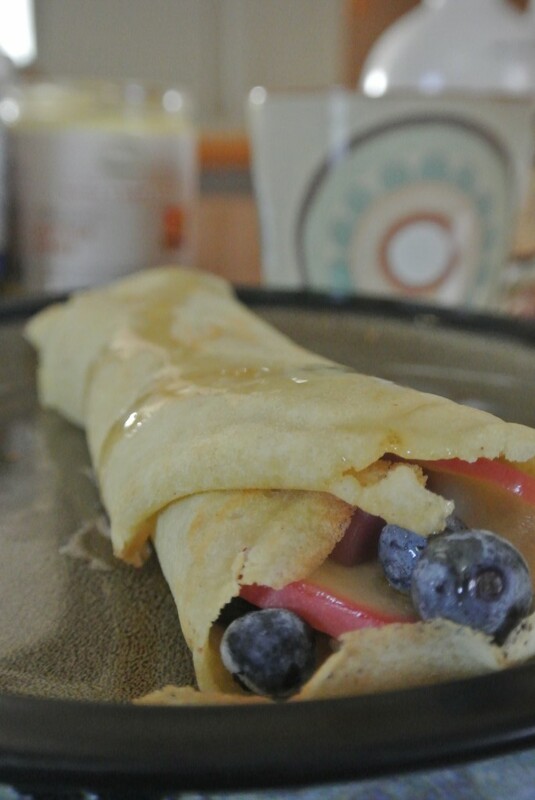 Enjoy these healthy and delicious gluten-free crepes for breakfast, brunch, lunch, snack and./or dessert. You can enjoy these crepes as sweet or savoury, and you can also enjoy them as a healthy breakfast, lunch, snack, or a tasty dessert. 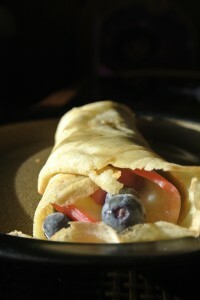 As always, feel free to use your creativity, but here are some suggestions that we have for sweet and savoury crepes. 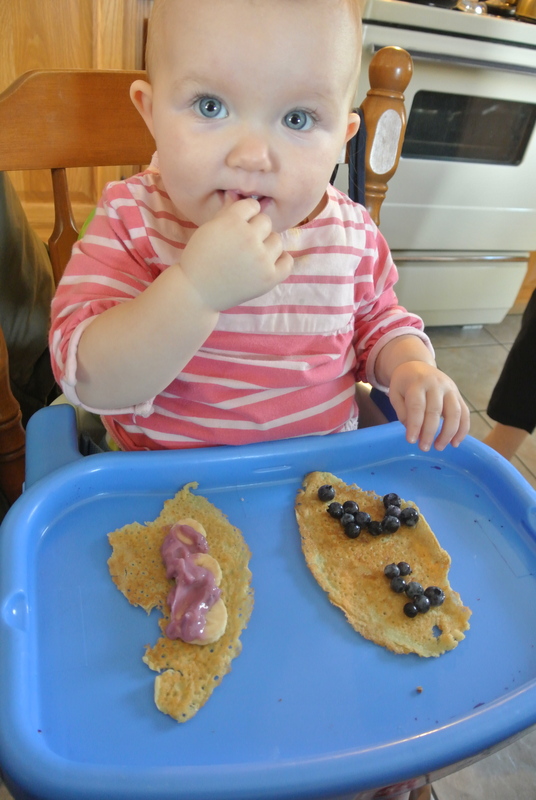 Our choice of filling for today: blueberries, steamed apple slices, roasted sunflower seeds, blueberry coconut yogurt, and maple syrup. 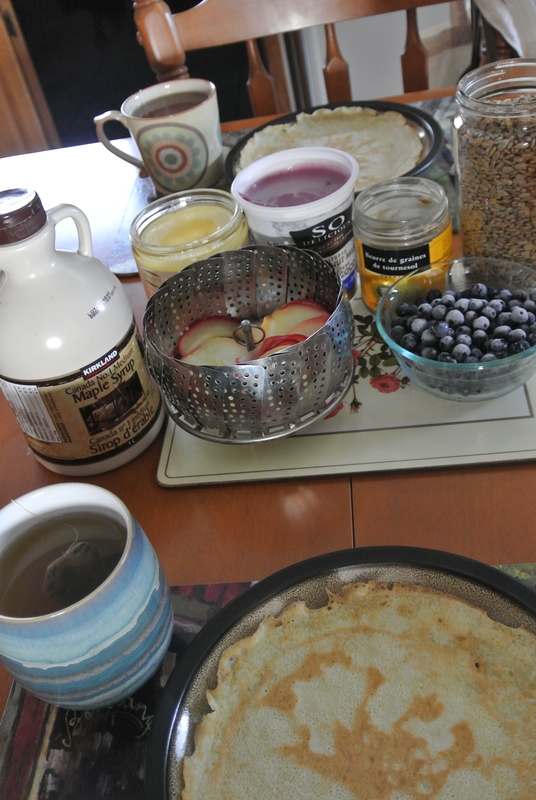 Another really cool thing about these crepes is that if you omit the maple syrup and use unsweetened mylk, you have yourself a healthy, tasty homemade brown rice wrap! This easy recipe will make you feel like a crepe master! You can dress the crepes up or down and either way it always comes out tasting delicious. 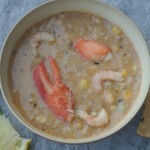 In a small bowl mix together dry ingredients and set aside. In a large bowl whisk together the egg and maple syrup. Add dry ingredients and stir until all flour is integrated. Gradually whisk in all of the mylk into the batter until there are no clumps. Heat a 10'' frying pan or skillet on medium heat. Add a small pad of oil to evenly coat the pan. Add ⅓ cup batter into the pan and swirl the pan around to distribute the batter evenly over the pan. Cook for 1-2 minutes until the edges of the batter turns a golden brown colour. 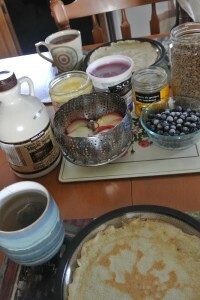 Use a wide, flat spatula to gently flip the crepe and allow to cook for another minute. When done cooking, place crepe on a large plate and cover with a clean dishtowel until you're ready to serve. Repeat adding oil to the pan before adding the batter until all of the batter is gone and you have 7-8 delicious crepes ready to be served. Enjoy! This recipe can be made up surprisingly quickly since you just have to get the grains started and add the rest of the spices and ingredients while it’s cooking. The more you make it, the easier it gets! Especially since you’ll find the combination of spices, fruit, nuts & seeds that tastes good to you (and as always… feel free to mix it up, add anything that looks tasty to you, and experiment as you see fit). We initially wanted to call this recipe ‘Vega Vanilla Chai warm breakfast cereal’ but didn’t want people to pay no attention to the recipe if they didn’t have this Vega protein powder in their cupboard. But if you do have it, the Vanilla Chai flavour adds a delicious flavour! Place grains in a large pot with water and bring to a boil. Add a pinch of salt (and dried fruit, if using), and turn the heat down to simmer covered for 20-30 mins. While simmering, get your selected spices together and add them to the pot, stirring the mixture occasionally. Add more water or milk alternative if the cereal looks like it will run dry. When the cereal has reached the desired consistency, add fruit, seeds, and Vega protein powder if using. Mix everything together well, and then turn off heat. Serve immediately, and enjoy this nourishing and delicious start to your day! Granola is a classic meal & snack that everyone likes… but what’s even better is how easy it is to make… We even gave it as Christmas gifts last year, which was a hit! 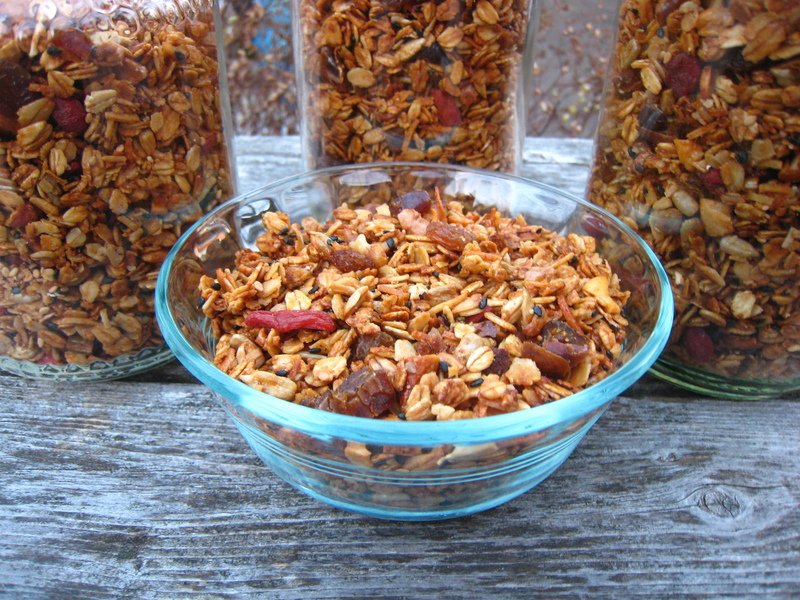 Granola is one of the easiest things to make … and eat! I always make a double batch of this so that it lasts at least 1 week. 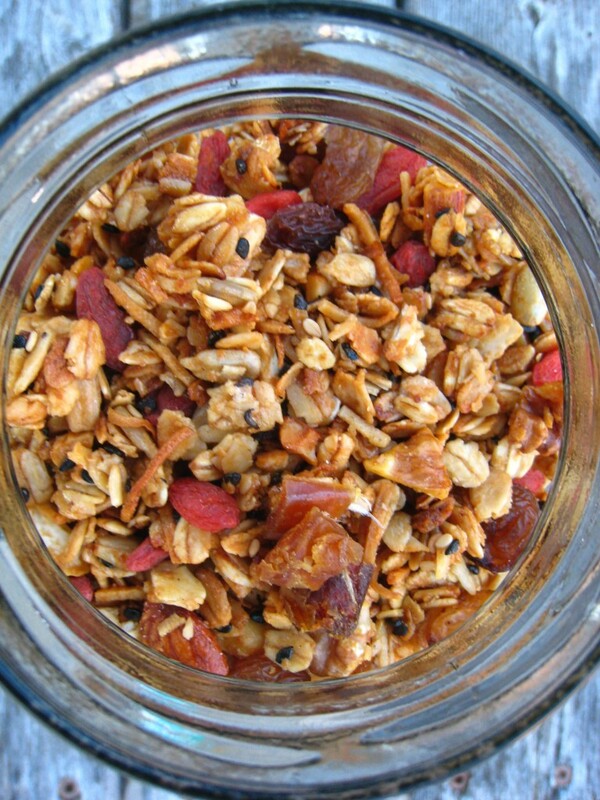 Although the ingredient list is long, you can jazz up or down your granola as you wish. Just making it out of oats, coconut, a handful of seeds & nuts, and whatever dried fruit you have on hand still makes an awesome granola. Otherwise, you can really get creative with this recipe and make it different every time, or find a combination that you like and keep it consistent. Either way, you’re sure to enjoy eating it. 1 cup chopped nut mix – almond, pecans, cashews, walnuts, etc. – Preheat oven to 325. 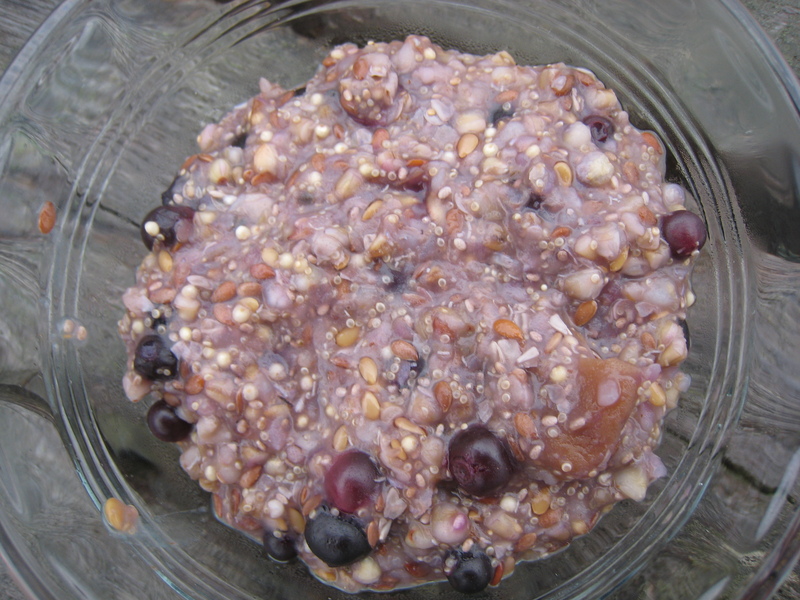 – Mix oats, nuts, rice bran/wheat germ, seeds, & cinnamon in a large bowl. – Heat oil & honey (or maple syrup) in a small pot over medium heat. Add vanilla extract while heating. When it’s bubbling, remove from heat and pour liquid mixture over dry mixture. 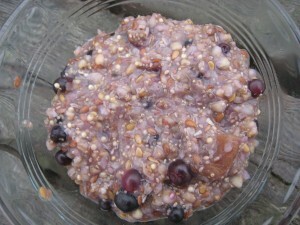 – Stir well, to coat all of the oat mixture. 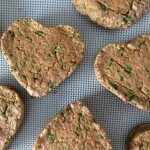 – Spread oat mixture evenly in a shallow pan or cookie sheet. (You may have to do this in batches so oats are not layered too thick). Bake for about 20 minutes, stirring every 5-7 minutes until golden brown. 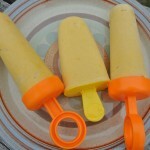 Allow to cool completely before adding dried fruit. 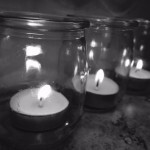 – Store in an airtight container. And enjoy it while it lasts!